2. Change HW ChipSelect. Easiest I think would be to move it (cut trace and solder patch) to IO1 on the flow deck. after a crash my battery connector is cut at soldering point. 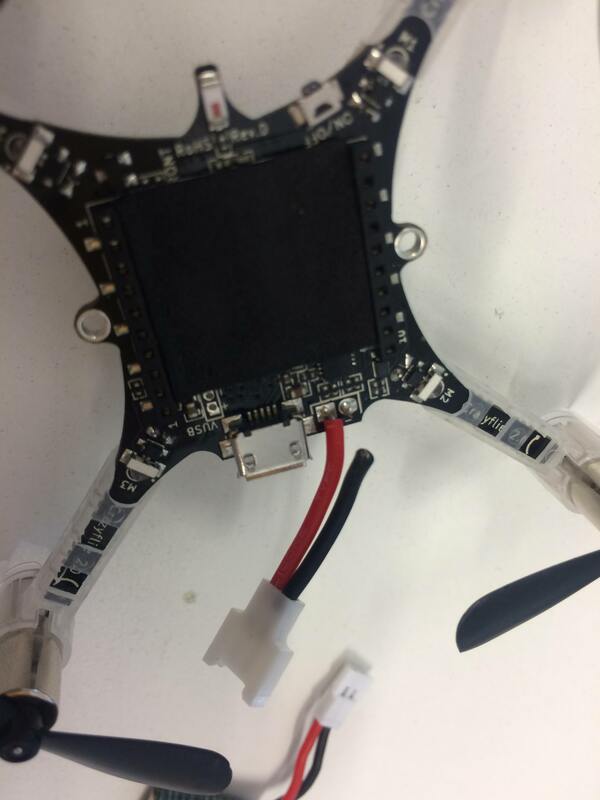 The drone therefore cannot receive power. I'm very inexperienced in electronics stuff, so I would be very glad for some detailed instructions as what to do, what tools do I need. I suppose the distance to the floor is saved in the ranging log variables ? Here are 8 distances and 8 pressures values measured. So there is not yet the variables to measure linear velocity, but it can be approximated by integrating the linear acceleration right ? I'm studying the joystick input subroutine. The code is easy enough to understand. There is one thing I haven't got though: what is the role of the pysdl2.py file ? it I want to study the client code to "copy" the way it handles joystick input, which files should I look into ?